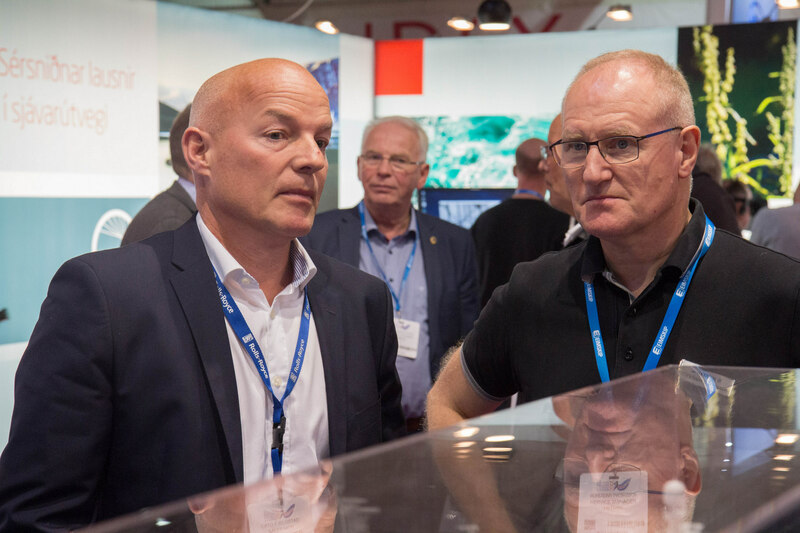 “As always, Icefish has proven a great venue to strengthen relationships with customers and show our latest offerings,” says Ragnar Sverrisson, Hedinn‘s managing director, of the company‘s participation in the exhibition, which was held on 13-15 September in Iceland. 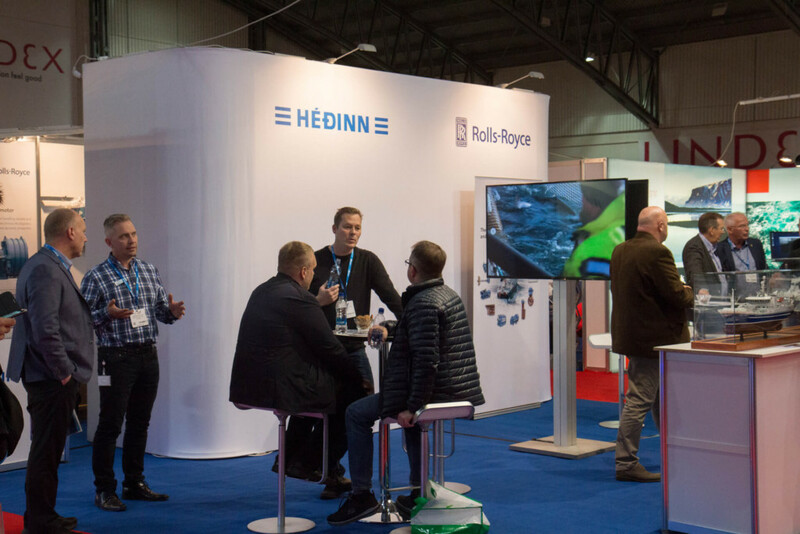 Like many times before, Hedinn and Rolls-Royce teamed up at the Icelandic Fisheries Exhibition, emphasizing their close co-operation throughout the years. 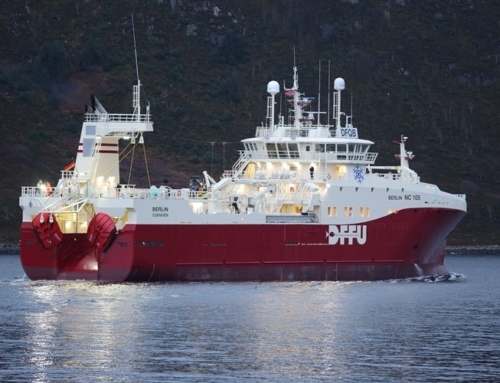 ”This time there was extra excitement, as the first marine version of the Hedinn Protein Plant had recently been taken into use on board the new freezer-trawler Solberg OF1. Some adjustments were made on the factory during the first tours, but it is now running at full production capacity. We are currently waiting for a report on the first full-scale operation. 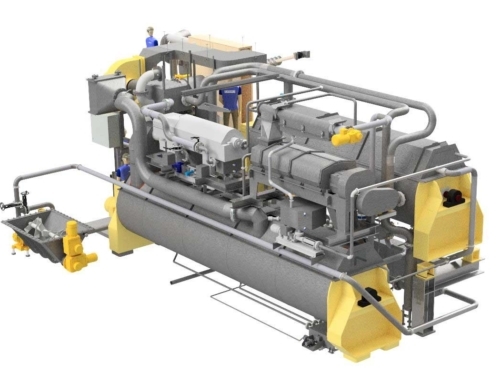 Hedinn already has ten orders for the HPP, in size configurations ranging from 7 to 125 tons of 24-hour raw-material capacity, and at Icefish, we showed the plant’s capabilities to a number of interested parties,” Ragnar adds. Part of the team representing Hedinn at Icefish. 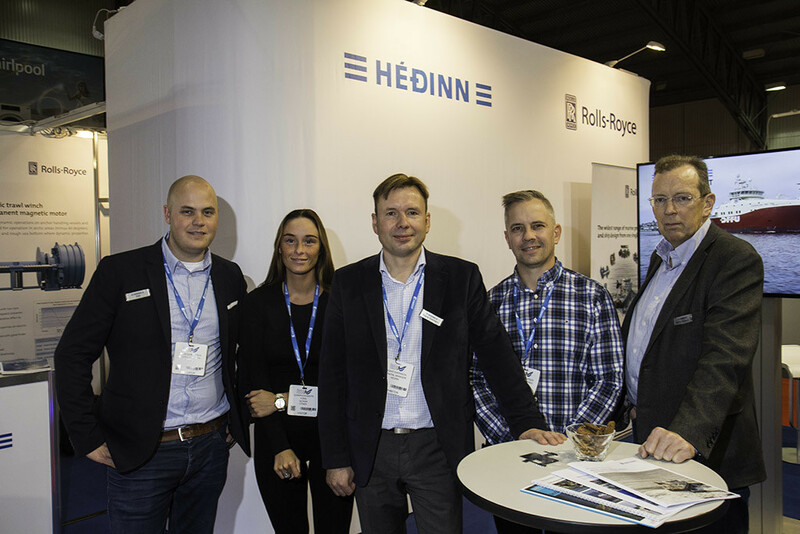 From left: Edvard Bjorgvinsson, head of Hedinn‘s department for Rolls-Royce Marine Services, Alexandra Bjorgvinsdottir, exhibition assistant, Ragnar Sverrisson, managing director, Erlingur Gudleifsson, head of Hedinn‘s protein plant department and Gunnar Hauksson, sales and marketing. 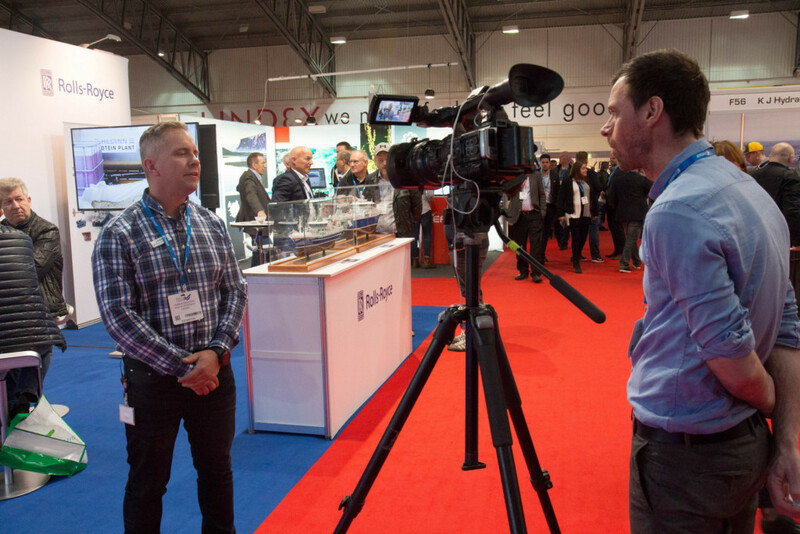 Rolls-Royce shared the exhibition stand with Hedinn, resulting in a steady stream of visitors who were curious about the latest Rolls-Royce Marine solutions. Hedinn is the Rolls-Royce Marine Service Provider in Iceland. 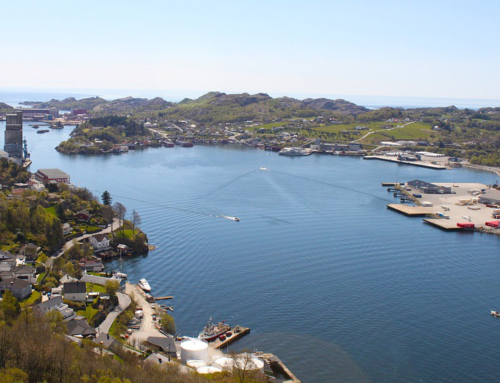 Edvard Bjorgvinsson, head of Hedinn‘s RRM department, says that marine solutions from Rolls-Royce cover all aspects of modern-day operations of a fishing vessel. ”Rolls-Royce is continuously innovating and improving. The new trawl winches and thrusters using the Permanent Magnet (PM) technology are nothing short of revolutionary and they have received great interest from the fishing industry. 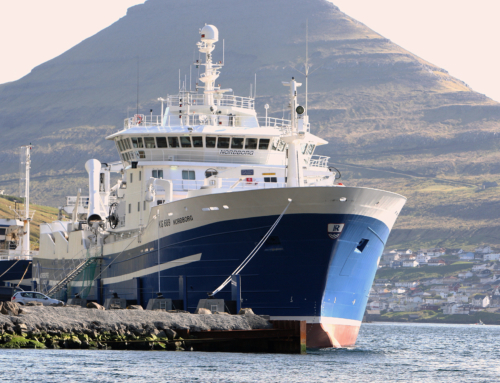 Rolls-Royce control systems and auto RTX are constantly improving and we at Hedinn have been upgrading a number of these systems on board Icelandic and foreign fishing vessels. Vessel owners are constantly looking for ways to increase efficiency, prevent downtime and lower costs, and upgrading their onboard systems is a good way of achieving those results,” Edvard says. Rolls-Royce‘s Cato Fjeldstad with Þorsteinn Sverrisson, Hedinn‘s Rolls-Royce Marine service manager. 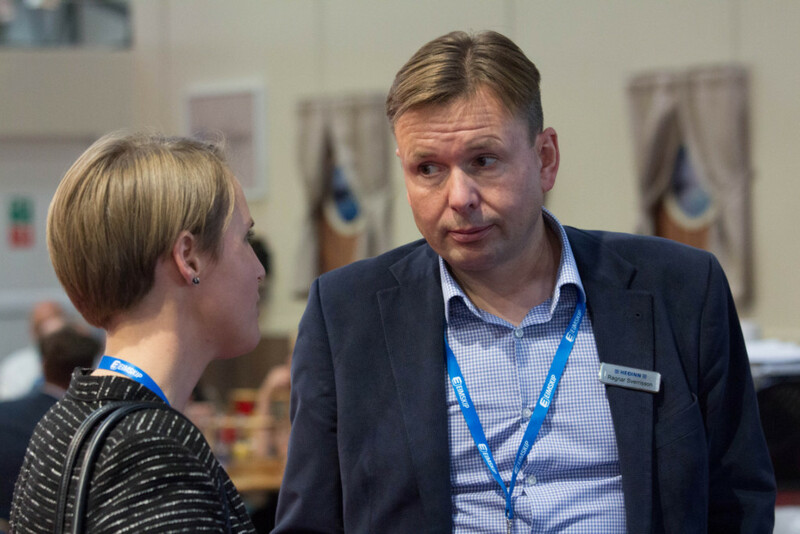 Gunnar Hauksson is a relentless provider of information about Hedinn‘s products and services, drawing on decades of experience with the company. 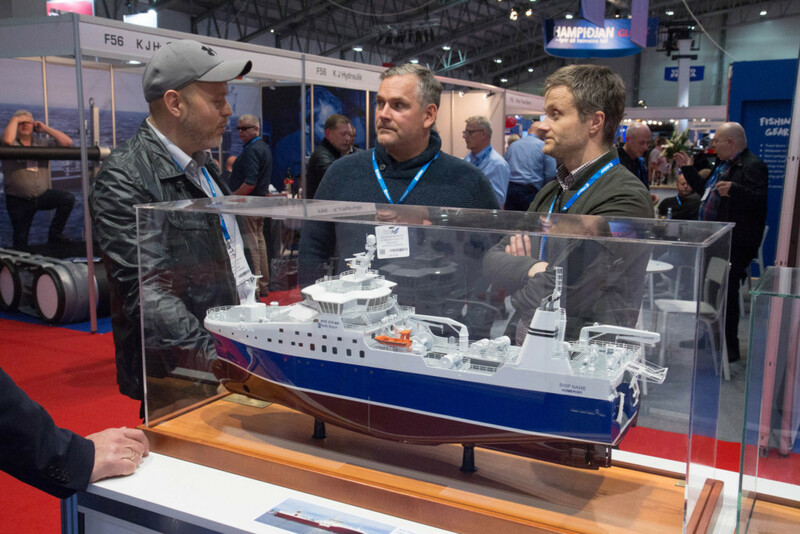 A model of the Rolls-Royce designed NVC 375 WP trawler generated a great deal of attention. The Iceland TV station INN reported extensively on Icefish, here interviewing Erlingur Gudleifsson. 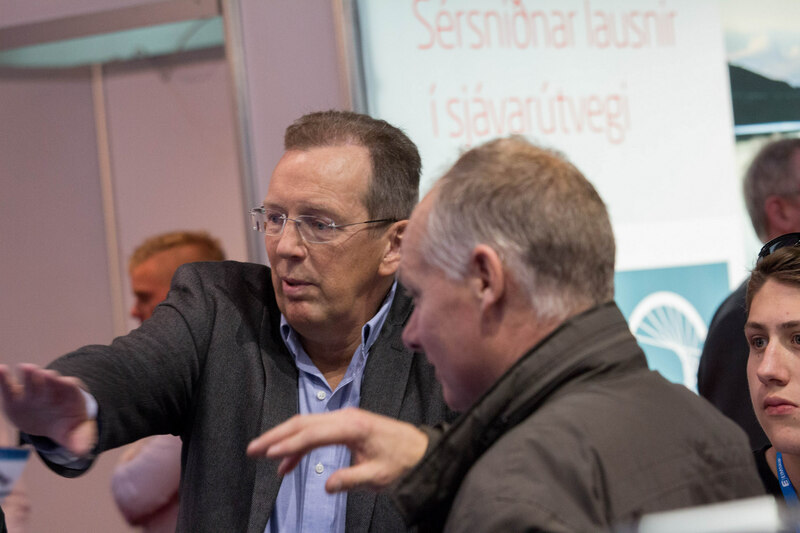 Hedinn‘s managing director, Ragnar Sverrison, talking to one of the many visitors to Hedinn‘s stand at Icefish. One of the numerous meetings with current and future customers. 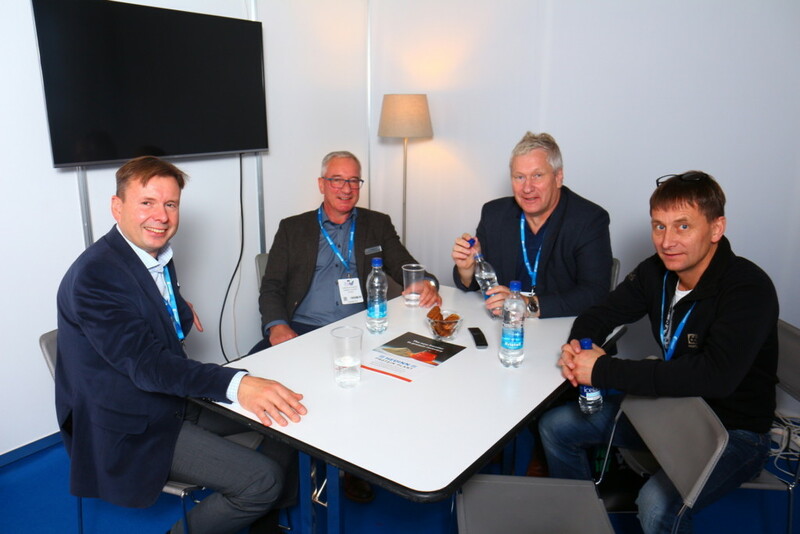 From left: Ragnar Sverrisson, Hedinn‘s managing director, Gudmundur Sveinsson, Hedinn‘s chairman of the board, Rafn Jonsson and Kristinn Larusson, operations managers of Isfelag Vestmannaeyja fishmeal plant in Þorshofn, Iceland. 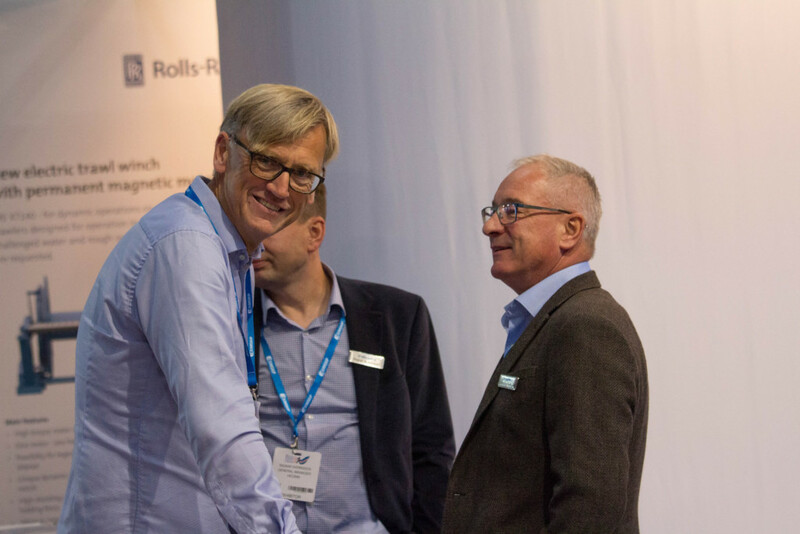 Monrad Hide, Rolls-Royce‘s sales manager, with Ragnar Sverrisson and Gudmundur Sveinsson. 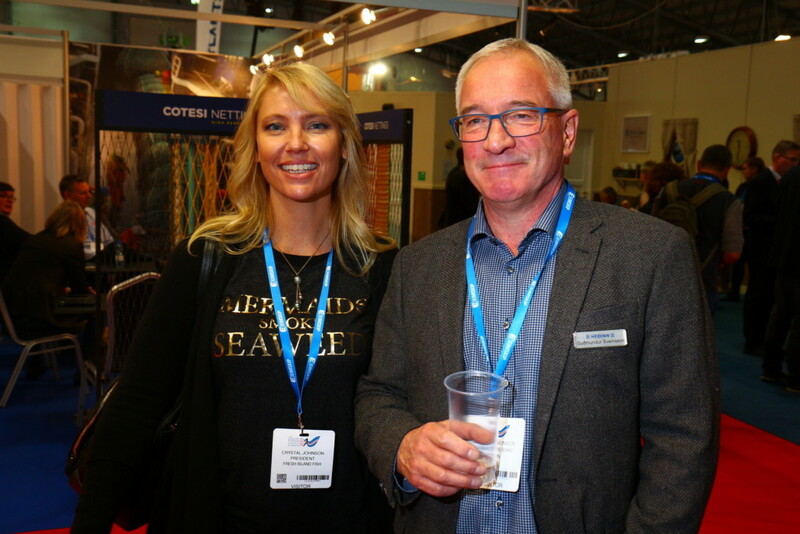 Crystal Johnson, president of Fresh Island Fish and Gudmundur Sveinsson. 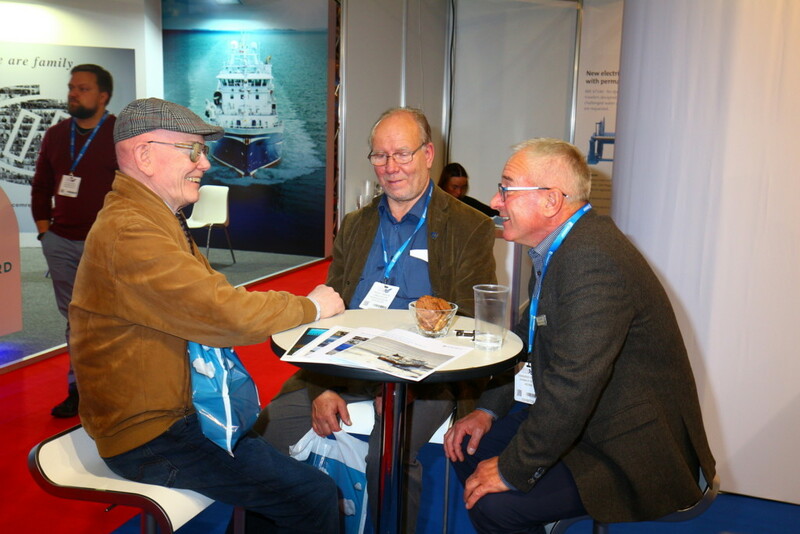 Icefish is a popular venue for catching up and re-establishing contacts.